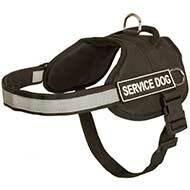 Whatever activity you are going to start with your dog, it will be difficult to cope without harness. 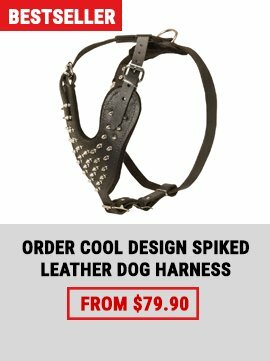 The harnesses of various constructions are represented in our store so that you can choose the one you need depending on the type of use. 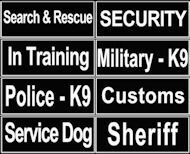 It is not a simple handling dog tool, they may be training or assistance, harness for tracking work or the one for daily use: any you need for dealing with your dog. 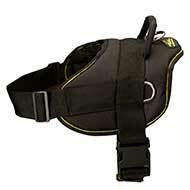 Aside from different intended use, the harnesses of different materials and design can be discovered here. 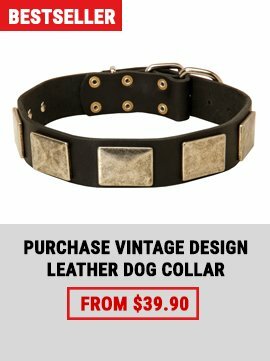 Nylon dog harness is a highly practical dog gear, extremely useful especially in wet conditions, as it is water-resistant and easy to keep clean, while the harness made of leather is more expensive but attractive and richly looking dog accessory. 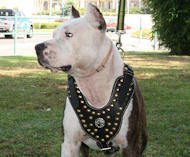 Choose the studded or even decorated with spikes one to underline your pet ‘s strength and beauty. 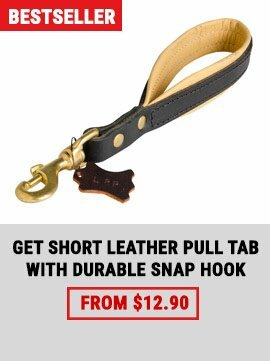 Every item in our store is a high-quality product, featuring unbelievable durability and serviceability, highly important characteristics to provide you with necessary safety and security during handling your dog. All they are made of the best materials and equipped with sturdy hardware to guarantee long service life.